Some of you are rolling your eyes right now, but I don’t care. I will die on this hill. The Max’s 6.5″ screen cries out for stylus support. At least it does for me and others who would benefit from this capability It is definitely big enough, and the resolution is plenty high. It would be the perfect portable wireless notepad, a use case which the current iPad Pro sizes aren’t really cut out for. 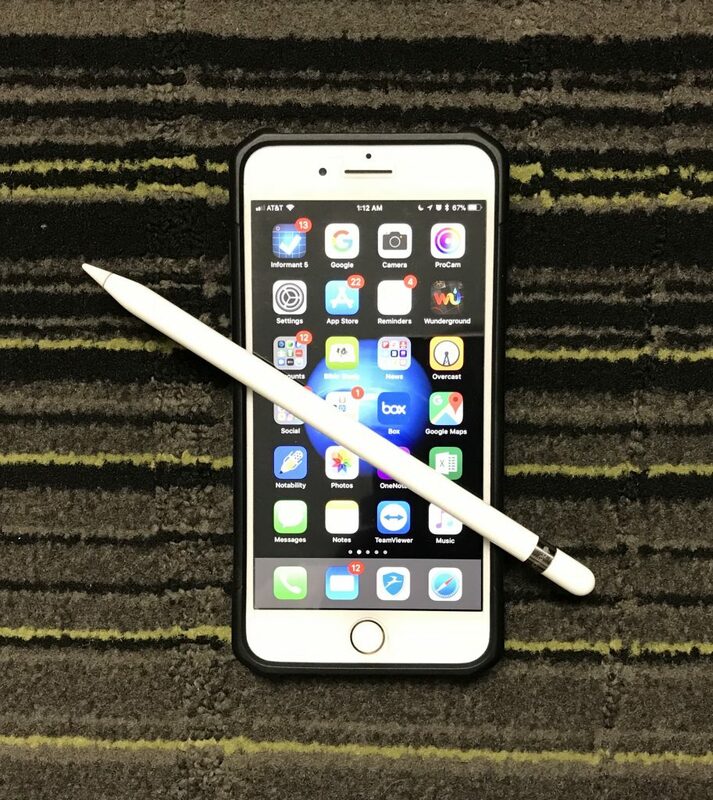 The most common argument I have heard against Pencil support is that it would add cost to the iPhone for a niche feature. Well, Apple added Pencil support to the lower-cost iPad this year without raising the price. We are talking about the same trillion dollar valuation Apple that doesn’t miss an opportunity to make a buck. That wouldn’t have happened if the tech necessary for the Pencil hadn’t come down in cost over the last three years. As for the niche feature argument, I actually don’t disagree. However, what new smartphone feature isn’t niche, at this point? The smartphone market is mature and saturated, and all new features are iterative to some degree. The bottom line is, if the Pencil tech won’t increase the price of the Max, then the benefits outweigh the negatives, even if the target audience is modest. My argument for the Apple Pencil may have limited appeal, but I think there are three other missing features that would prove to be more popular, if implemented. While Pencil support was my number one wish list item for the Max, split-screen apps was a close second. The feature that originally differentiated the iPad Pro would also be a perfect way to make use of the Max’s extra screen real estate. I know it would be a little odd having a feature like this locked to one model of iPhone, but if you look back, Apple has done this plenty of times to differentiate new iPhones. Siri, TouchID, 3D Touch, Face ID- they all started with one model and grew from there. For someone like myself, split-screen would be a huge boon for productivity on the Max. Just as I do with my iPad Pro, I would use tandem apps often with my iPhone. I use Excel multiple times per day, and I would love to have it and either Mail or a browser open together. If I could open up Trello for project management and have Mail, Slack, or Messages open at the same time, it would be a huge time saver. I go back and forth between these apps often as things work now. I can understand why this feature hasn’t been added before now. Even the Plus-sized screens would have seemed cramped displaying two apps, and the memory and processing power likely just wasn’t there in the past. I am sure there would be a cost in battery life, as well. However, with what we know of the A12 Bionic, I think Apple has put itself in a position to be able to pull this off. If full split-screen doesn’t work or isn’t feasible for some reason, then what about the iPad’s Slide Over feature? This doesn’t use full multitasking, so it wouldn’t be as hard on the processor or battery life. However, it would give you access to data inside other apps without having to manually swipe between them. There is yet another page that I think Apple should steal out of the iPad Pro playbook for the iPhone XS Max- The Dock. In iOS 11, Apple revamped the iPad’s Dock to do far more than its original purpose of just storing a few app icons. Suddenly, we had a Dock that allowed us to include many apps, would show recently opened apps, and could be summoned from the bottom of the screen from inside of other apps. The Dock became the mechanism that made multitasking and split-screen apps finally work smoothly on the iPad. 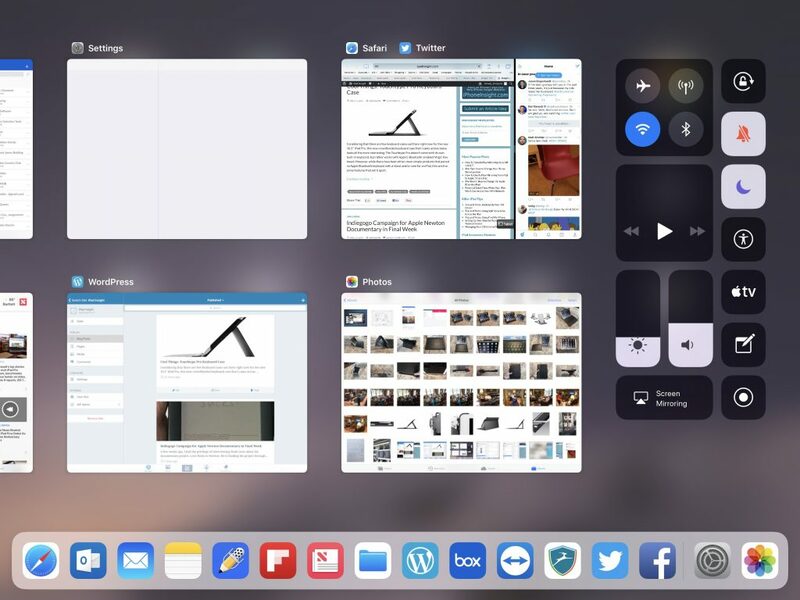 Now, if Apple wanted to make split-screen apps work smoothly, they would also need to bring most of the iPad Dock’s capabilities to the Max to make it happen. Users would have to be able to bring up the Dock while an app is open to, in turn, allow them to bring in a second app. To get one, you need the other, so I want to see both. Along the same lines as my request for split-screen apps, I also believe that the iPhone XS Max’s screen is big enough to warrant the inclusion of picture-in-picture video playback. There are some apps, such as YouTube and Facebook, that allow you to do this in-app. However, going back to the iPad again, we have the capability to do this throughout the OS with any compatible app that plays video. Even if you don’t think split-screen apps are a good fit on the Max, this video feature seems like a no-brainer. It allows you to still be productive on your iPhone while you have a video playing in the background. We can already do this with audio. Why not give video equal footing here, as well? 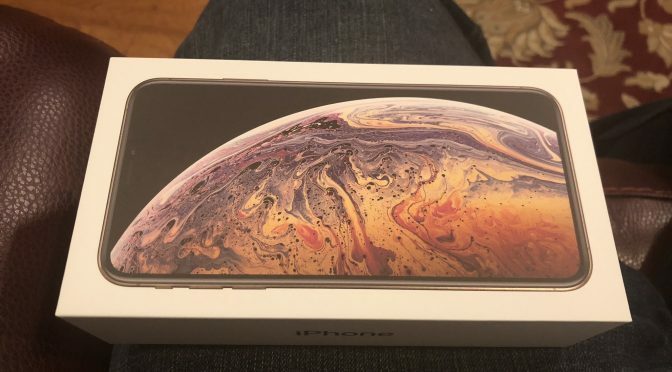 I certainly don’t see any of these “missing features” as a hindrance to buying an iPhone XS or XS Max. In fact, missing may be the wrong word, Maybe there are better thought of as future opportunities. 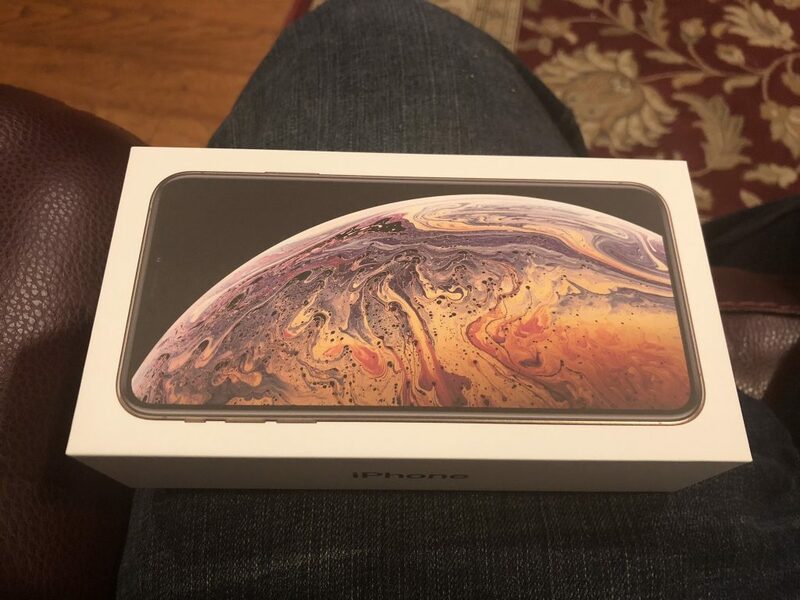 Either way, based on my experience so far, I will heartily recommend this phone to anyone looking for something with a larger screen. However, I can’t help but see some untapped potential. I see power that is left in reserve. The Max is the closest to the perfect smartphone for me that I have ever used, much less owned. All I am doing here in this article is talking about what it would take to get the Max the rest of the way to perfect….at least for me. How about you? Would any of these features be beneficial to you? Would you be more likely to consider the iPhone XS Max if any unique features like the ones above were included? Let me know what you think in the Comments section below, on Flipboard, our Facebook page, on Twitter, or on our new Instagram account.